Diet can be contentious issue and there are diverse and varying views on the role of diet, both in the prevention, and treatment of cancer. Naz suggested that firstly, we can control what we eat and this is very important because cancer and its treatment completely undermines our sense of control over our bodies and lives, in particular the little control we have over breast cancer occurrence and recurrence. Yet, we can choose what foods to eat and what to avoid and this allows us to exert a sense of control, empowering us at a time when we feel extremely vulnerable. 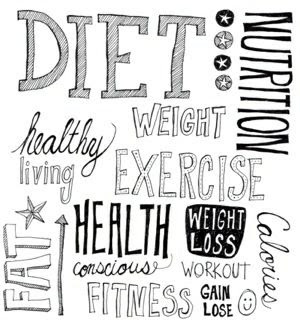 Secondly, our diet interacts with our physical and psychological well-being, influences hormones, cognitive function, and most of our organs, including the brain. So, it is perfectly reasonable to think that diet can have a direct effect on cancer diagnosis and progression. However, Naz told us it has been very difficult to substantiate a direct and causal influence of diet on cancer diagnosis and/or cure because the way in which diet affects individuals so differently, depending on our genetic make-up and environment. At a molecular level it is easy to substantiate with much certainty the effects of certain foods on physical well-being, but, when it comes to epidemiological research, it is hard to derive conclusive results because of history, natural variation in physical make-up as well as environmental experiences and influences. This mixed approach leaves us in a confusing position. Most of us would like to believe that good nutrition will help us, however, there is often a lack of clarity and agreement over what constitutes 'good' nutrition. There was an extremely wide wide variation in our views as a group - some of us follow a vegan diet, others, a ketogenic diet, others avoided dairy products or foods associated with oestrogen. Individual members reported significant improvements in their health and well-being, including a reduction in tumour size as a result of changes made to diet, even though different diets were followed. Weight gain - and loss - as well as fatigue due to treatment was a consideration, impacting on our confidence and self-esteem and we also talked about our views on alcohol. However, our over-riding concern was how we could support our health and well-being while enjoying a quality of life, given the challenges we face, impacted by our unique experiences and perspectives. We considered that irrespective of cancer, the 'food industry' is loaded with media claims advertising foods, including both specialised diets and therapies. Naz explained that while there is no substantiated evidence to back up the use of specialized or alternative diets, there are anomalies in traditional medicine, even though this is the predominant and scientifically accepted approach. Naz suggested that the absence of evidence does not mean evidence of absence. As a group, we were able to respect each other’s diverse views. We considered that given that as we currently do not know the effect of diet on cancer prevention and cure, it seems reasonable that we support one another to have the confidence to act on our own informed views about what each of us considers the best way we can support our physical and psychological well-being.